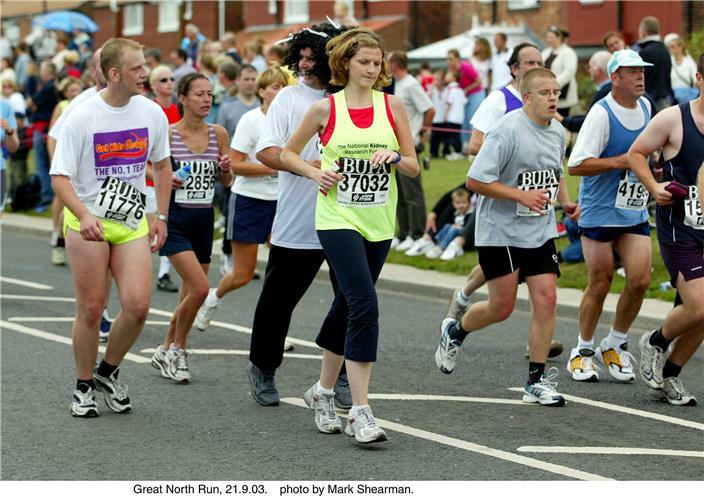 A great weekend of racing saw the biggest fields on the roads of Newcastle for various events.There were over 3000 athletes who completed the junior events, at the Great North Run, with an enormous 43 631 finishers of the main 21 kilometre event (half marathon distance). parkruns again featured big numbers with the Bushy parkrun topping 1200. Some of the other big parkrun events included Poole, Southampton, Bromley, Black Park and Sheffield Hallam. For those looking for a more tranquil parkrun, the smaller events were at Fort William, Larne, Millom, Gainsborough, Cheadle Hulme and Drumchapel that featured under 50 finishers. Did you race this weekend on the road, trails or even cross country? Most of the results are in and it's time to check your handicap score and your ladder position. The runbritain handicap scoring system was launched just over eight years ago and each year there has been an average of almost 10,000 signing up to the system that tracks race and parkrun performances and gives every runner in the UK a handicap score that reflects fitness and commitment levels. The number of sign-ups per year show a peak of 13,264 in 2012. With many more racing weekends to complete this year, we are heading to a total of100,000 since we began. You can check out where your handicap puts you in your age group and postcode. You can log your training mileage, watch your progress graph rise and check out head-to-heads with your training partners. All the information you need is on the runbritain rankings site. Sign up today and see your handicap improve as you target your fitness goals. Remember there are numerous training programs to help you via our training wizard that will ask you to enter your target distance and your training load (easy, moderate, hard).